It’s always a pleasure reviewing Apogee gear—no matter what we throw at it, we always get top-quality audio in return, with the detail, clarity, and musicality that’s inherent in the sources we record. While in recent months we’ve taken a hard look at the top-shelf Apogee products like the Symphony I/O MkII and the Ensemble Thunderbolt, this year’s Buyer’s Guide is a good time to remember the wide range of more affordable Apogee products. That line now includes a nifty box called ONE for Mac. ONE is the name of Apogee’s do-it-all personal recording solution, combining an internal omni microphone, inputs for mic-level and high-impedance instrument-level signals, an audiophile-quality headphone output, and a 2-in/2-out audio interface. 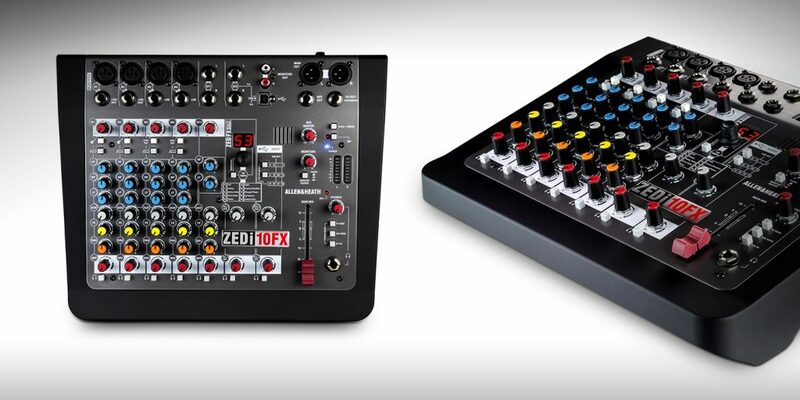 These functions are all packed into a sleek and lightweight case that can be mounted on a mic stand, combining a great room recording mic with simple controls for input and output. 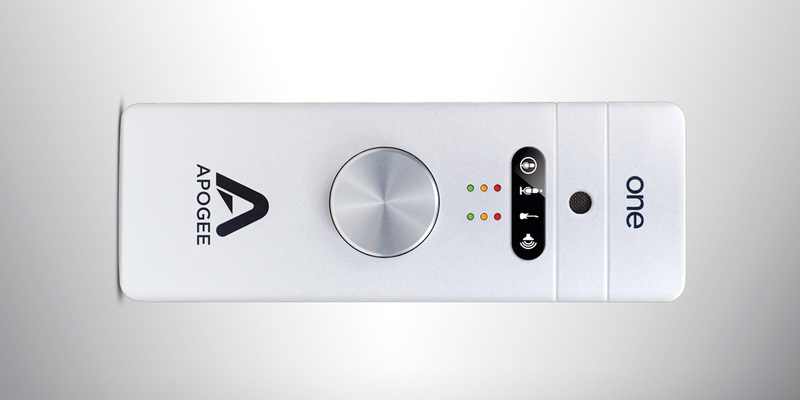 While Apogee has put a lot of attention into the rapidly growing world of iOS recording, it understands that not everyone wants or needs iOS capability in an audio product, and those users perhaps would prefer not to pay for things they don’t need. For that reason, the latest generation of the ONE interface is packaged in two different formats: the black ONE For iPad & Mac, and the silver ONE For Mac. By purchasing the latter, users can save $100 by skipping the specialized cables and external power supply needed to turn the ONE into an iOS device… purchasing them later as the iOS Upgrade Kit if desired. So, what’s in the box? A lightweight and elegant unit about the size of a TV remote, sporting Apogee’s usual large push-click encoder to control input gain and output levels, with stereo 3-step meters for signal present, peak, and overload. The tiny omni capsule is visible above the LED indicators for what’s currently being controlled. On the top end are connectors for the (optional) external power supply (not needed for Mac use), USB, and the “pigtail” with XLR and 1/4″ Hi-Z jacks. 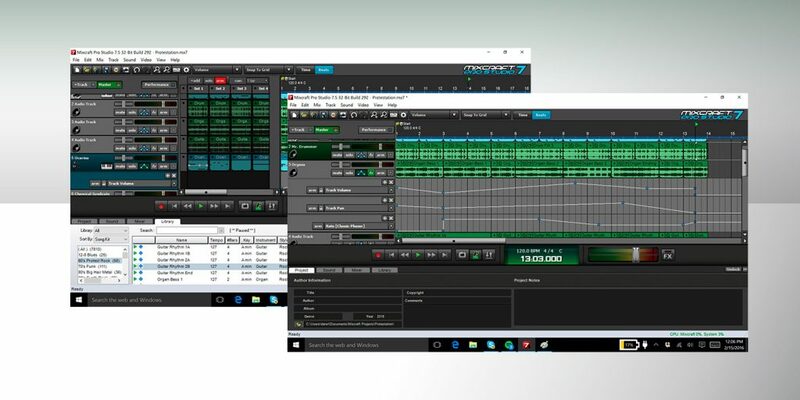 In use, the ONE works hand in hand with Apogee’s Maestro 2 software, which provides metering, gain settings, a low-latency headphone mix, and the ability to daisychain multiple Apogee interfaces. It’s all very elegant and easy to use, and it takes no time before you’re up and recording. As for audio quality, refer to the first sentence of this review. 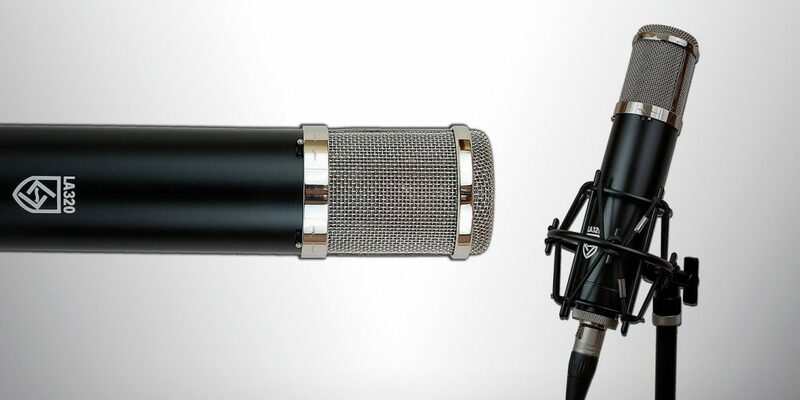 The omni mic is a great way to record players in a room or a singer playing guitar or piano; it simply captures everything around it with clarity. The mic preamp offers plenty of gain (and phantom power if needed), and the instrument input doesn’t color the sound of guitar pickups, even finicky piezo units. The headphone output sounds so good, we can see users carrying the ONE in their laptop bags just to enjoy 24/96 audio the way it was meant to be heard! All in all, the ONE does what it sets out to do: provide quality recording, simply and effectively, for anyone with a Mac and a desire to capture great audio.